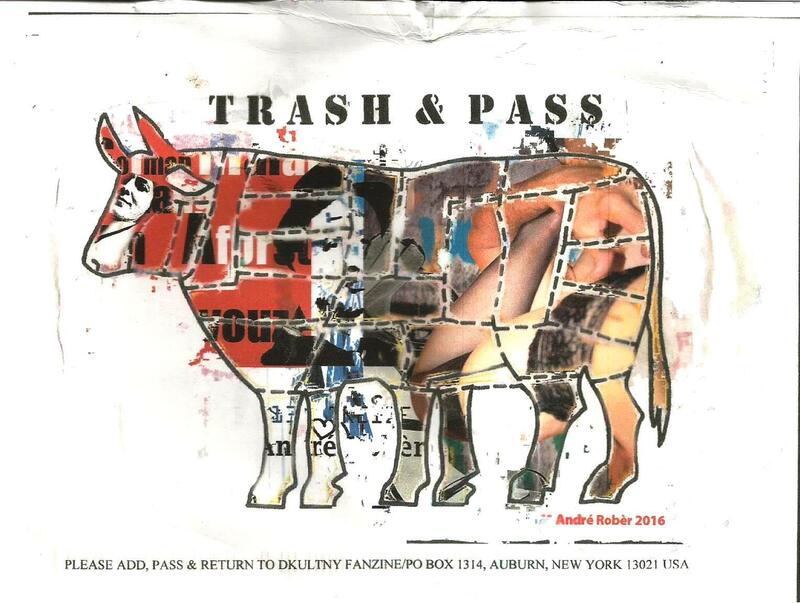 The Karnival of Trash exhibition attains a new level of excellence with the arrival of work by French poet, essayist, visual poet and artist Andre Rober. He is, indeed, also a participant in the international mail-art network. This is a most welcome surprise! The piece is destined for the DKULTNY fanzine, but the Karnival of Trash provides an ideal opportunity to share the work with a larger audience. 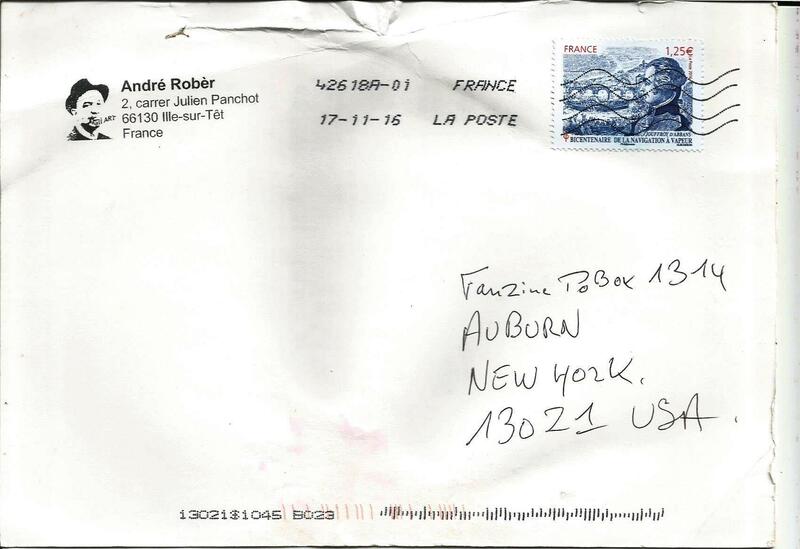 Andre Rober has taken a familiar mail-art icon and subverted the intention in much the same way that Trashpo subverts the Ray Johnson add&pass concept and even traditional notions of art.